For more than thirty years, Real Estate Speaker, Trainer and Coach Judy LaDeur has been bringing the best-in-business strategies, solutions, and insights to real estate brokers and recruiters. 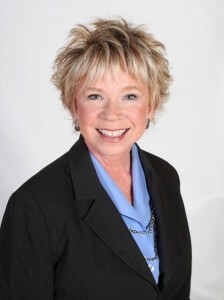 Judy LaDeur began her real estate career in 1975. In 1981, after a successful sales career, Judy joined the management team, where she developed her own recruiting and training systems. By 1984, she was the Director of Recruiting and Training for a large, 4-office firm in Chicago and was their #1 recruiter. It was at this time that Judy began training and working with other Brokers across the country in the areas of recruiting and retention of real estate agents. In 1990, Judy was asked to join forces with Floyd Wickman and assist in the development of his Rapid-Fire Recruiting® Program. This was the beginning of a new career as a national speaker and trainer. In 1992, she started her own company. Today, Judy is one of the top recruiting experts in the world. In addition to being a keynote speaker at many state and national conferences, Judy has often appeared on TV, radio and in various publications as an expert in recruiting real estate agents. In 2009, Judy was named one of the Top 25 Most Influential Women in Real Estate. Her recruiting courses are designed to develop skills and confidence. As a consultant and trainer to the real estate industry, Judy has helped many companies dramatically increase their market position in just one year. Judy conducts her workshops with proven systems, techniques and “how to” information guaranteed to make a difference in your office. With boundless energy and a passion for bringing brokers exactly the tools they need–she travels the globe delivering real estate recruiting SOLUTIONS that are easy to implement, affordable for any office and up-to-the market, empowering content. Now with a nod towards offering the next generation of tools and solutions for brokers and recruiters, she delivers The Profitable Recruiter to give brokers the very best, comprehensive tools, strategies, systems and dialogues they need to compete in our ever-changing market. We deliver “how to,” step-by-step instructions, with powerful–and practical applications.